QCA Spas has been in business since 1966 and has been manufacturing portable hot tubs since the early ’80s. With worldwide distribution and large retailers carrying the products, the company has remained with us through economic downturns and softness. Unlike some other hot tub companies and hot tub company proprietors out there, QCA has never declared bankruptcy or played the game of emerging under a new name after defaulting on their creditors. QCA operates their hot tub production with dignity, pride and fairness and creates some of the best valued hot tubs in the world. Whether an entry level plug and play spa is on the menu, or a deluxe Paradise spa with patented dynamic moving massage lounger (Ultra Wave Lounge), QCA has a spa in the large lineup that is right for almost anyone. Get the best deal on a factory direct QCA Spa from Hot Tub Outpost, your international distributor for hot tubs, parts, accessories and supplies at the best prices in town. Not only do you save the tax when buying online (in most states), but also get free shipping on most items and on all hot tubs and saunas. Those costs can quickly add up to hundreds and even thousands. Instead, relax in your brand new hot tub and enjoy a nice refreshing beverage. QCA has been in business for over 49 years and growing. It began as a pool company and now produces a wide range of hot tubs as well as infrared saunas and accessories. QCA Spas are built locally in Iowa and are made in the USA. QCA is now in over 40 countries around the world and sold through some of the largest retailers in the nation. 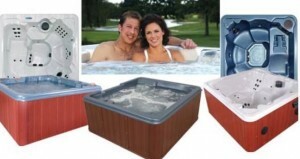 Get a quality QCA Spas product that lasts 15-20 years or more at the best price from www.HotTubOutpost.com.